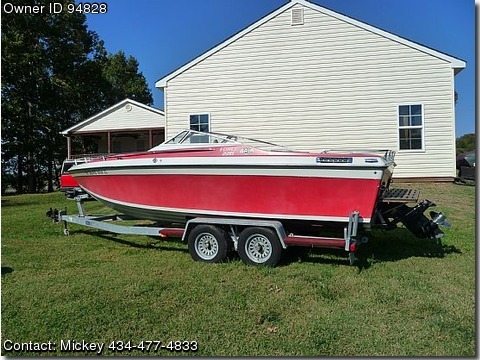 Call Boat Owner Mickey 434-477-4833. This boat & trailer have be totally recondition, with new motor ect, and tons of new parts. Am/fm stereo cd, bimini top, coast guard pack, depthfinder, fishfinder, 2 axle trailer cox ez load, battery, prof maintained, stored indoors, electrical & mechanics all rebuilt.